Have you tried to roll a drink, yet? Rolling is a seldom-used mixing technique that is easy to do with a little practice. It is a fun way to add a little flair to your bartending skills and can be used to mix a variety of cocktails. What is rolling, though? Basically, when you roll, you're simply pouring the contents of one glass into another glass. Do this a few times and you have a perfectly mixed drink. To put on a show. Let's face it, some bartenders just want to show off. If you get really good at rolling, you could get a pour as long as your arms will reach. That is a Tom Cruise in "Cocktail" level of cool! To quickly mix without the dilution. High-volume and simple drinks like a screwdriver and other drinks "on the rocks" benefit the most from rolling. It gently combines the ingredients with minimum ice melt and the excess air produced while shaking. Additionally, everything can be poured into the serving glass. To mix drinks with carbonation. Shaking can be too volatile for drinks with carbonated beverages like beer, soda, and sparkling wine. Rolling is gentler and avoids the occasional shaker blow up with these types of drinks. To get a thorough mix of thick, savory ingredients. Rolling is a great technique to use on drinks like the bloody Mary. You don't want your tomato juice to become overly diluted, yet you do want all of those ingredients to be properly combined. Stirring is not always the best option in these instances, and you can always fall back on the roll. 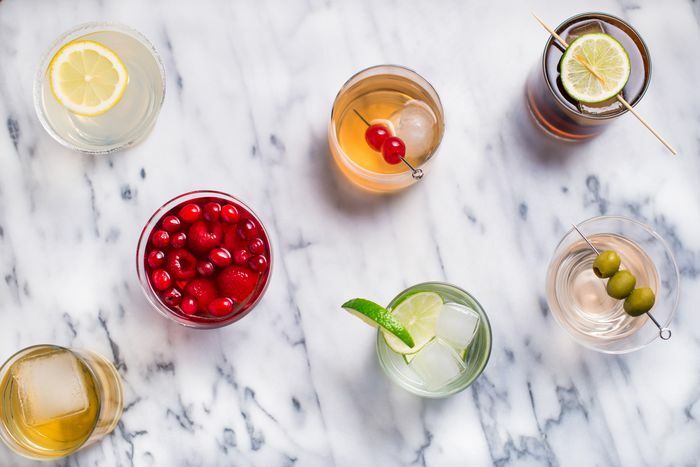 Before you begin rolling cocktails and risk wasting precious liquor, practice this technique with water and ice. To avoid cleaning up the floor, you might also want to begin outside until you get the hang of it. Fill one glass with ice and add the liquid ingredients. Pour the contents from this glass into a shaker tin or mixing glass. Pour the contents back into the original glass. Continue these last two steps two or three times then strain or pour everything into the serving glass (as called for in the recipe). See, it really is that easy! 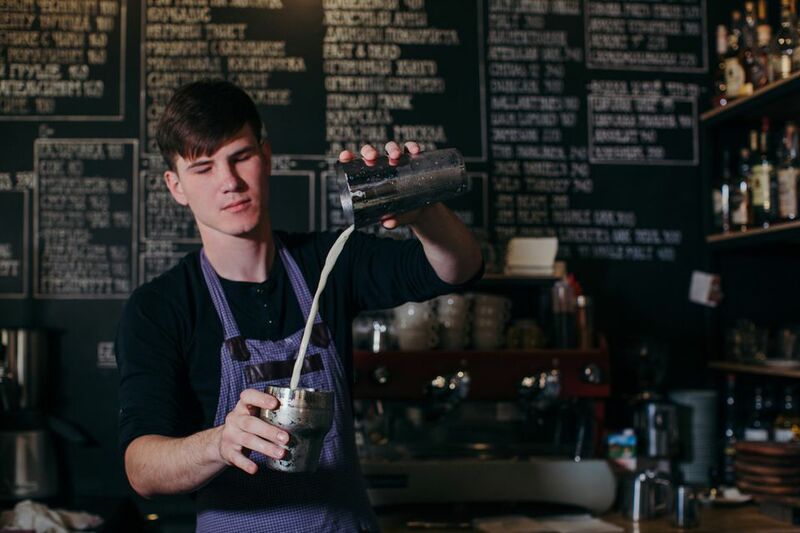 Essentially, you're pouring a drink back and forth between vessels. As you become more comfortable, you can increase the distance between the two and really begin to dazzle your guests. One thing that makes rolling considerably easier is to use two vessels that are relatively the same size and have wide rims. Your thin-rimmed collins or highball glasses are not the best options because the liquid is more likely to splash out of the glass. Instead, you will find it best to use the two pieces from your Boston shaker or two pint glasses. Are you ready to roll? Beyond the drinks we've already mentioned, here are a few recipes that are best when rolled. Other than the blue blazer—which can be dangerous in the wrong bartender's hands—they're perfect for beginners. When you're done practicing with water, give a few of these a try. Blue Blazer: The most famous rolled cocktail, this classic requires professional-level skill because you will be rolling flaming liquor. Do not try it until you have full confidence in your skills. Bugs Cutty: A savory cocktail featuring carrot juice with scotch and herbal liqueurs. Though the recipe suggests shaking, this one can work very well with a good roll. Homecoming Caipirinha: An apple-cinnamon variation on the famous cachaça cocktail. The roll helps blend the fresh produce flavors with the cachaça and apple juice with minimum dilution. Lemonade: Even the simplest of mixed drinks could benefit from rolling and fresh-squeezed lemonade is as basic as it gets. Raspberry Press: A fun and simple mix of raspberry vodka and two sodas. By rolling this drink, your sodas retain their carbonation and the ice melt is slowed down, resulting in a flavorful, perfectly chilled, and refreshing drink. Red Pepper Sangrita Margarita: This is a tequila cocktail with an identity complex, but it's a lot of fun. Like all "bloody" cocktails, rolling ensures it's fully mixed without diluting the savory flavor. Keep exploring drink recipes that could benefit from the roll, even if it's not standard for that particular recipe. As you gain experience, you'll be able to identify cocktails that can be a little better with this mixing technique. At the same time, do a side-by-side comparison to taste first-hand the difference this technique makes. For example, take ​a drink like the bloody Maria and mix up two drinks: one shaken and one rolled. Give them a taste test and see what you think. It may be that you prefer the shaken version, but you might also find that the roll is the way to go. You won't know until you try and the experiment is half the fun!